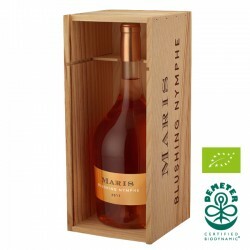 Blushing Nymphe is a blend of Grenache from AOP Languedoc. A region of the South of France, a stone’s throw away from the Mediterranean sea. The magnum comes in a personalized wooden case (as shown). Fresh, with notes of apricots, peach, eucalyptus, and raspberry brambles. This rosé is very elegant. Its roundness is driven by lovely acidity. A delicious finish, with flavors of tart fruit . This is a dry, sophistigated rosé perfect for summer . 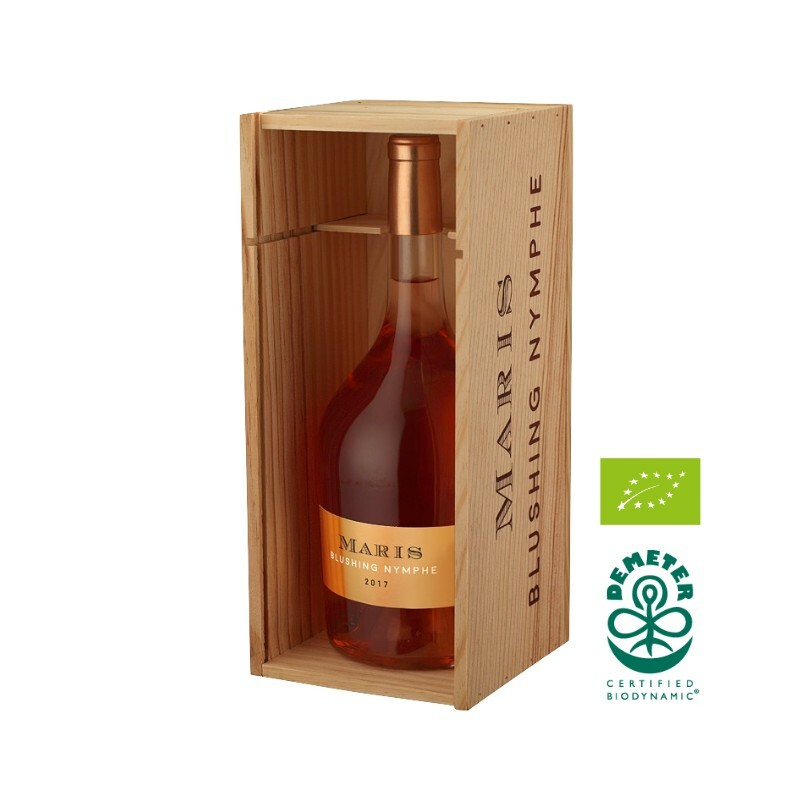 Our Rosé, is a “vin de presse”, and fermented in concrete tank. The process respects the principles of Biodynamics, with minimal intervention.